1. Preheat the oven to 350 degrees. Grease baking sheets. 2. Mix together the molasses, sugar, shortening and egg. 3. Dissolve the baking soda in the hot water and add to the sugar and shortening mixture. 5. Sift the dry ingredients together and beat them into the mixture. 6. Drop on a greased baking sheet, allowing some space for them to spread. 7. Bake for 12 minutes or until puffed and firm. 8. Remove to a rack to cool. 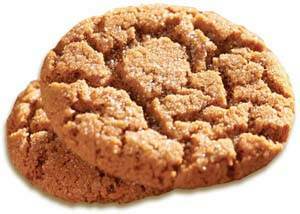 Read the Maine newspaper story behind this Molasses Cookie Recipe.